As you enter this lovely tropical home you are welcomed by a family of green sea turtles embedded in the floor tile. 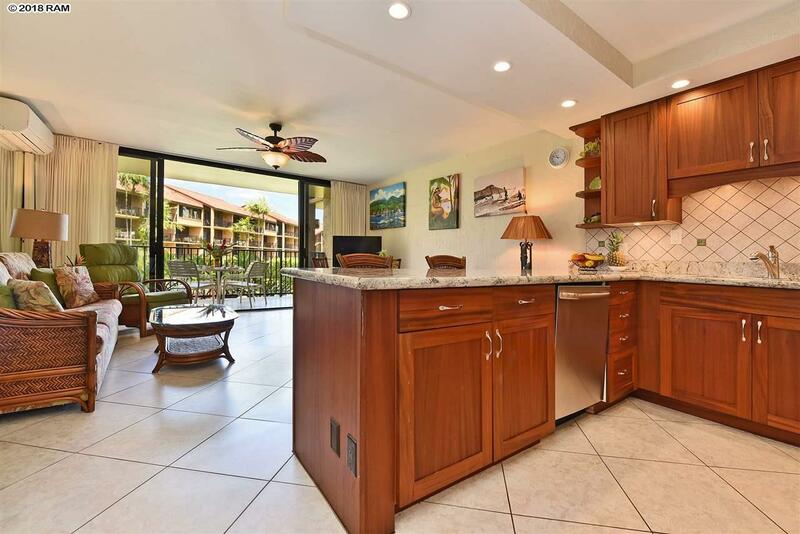 Papakea C-205 is a one bedroom one bath with views of the tropical Koi ponds, resort and the ocean. It has a one-of-a-kind quality remodel. The kitchen and bathroom cabinets are soft-close quality African Mahogany with under counter lighting, double sink and brushed nickel faucets. Porcelain tile is through-out the entire condo and extends out on the covered lanai. The bathroom was totally re-modeled with a walk-in shower. The shower floor is comprised of massaging river stones along with baby turtles. There are LED dimmable lighting fixtures through-out which keeps the unit cooler and reduces the electric cost. Split AC system installed. 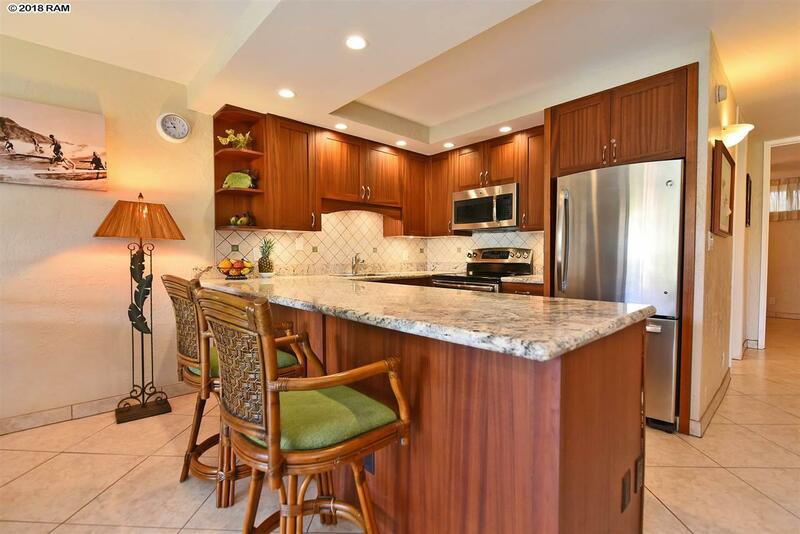 Papakea is a well maintained peaceful, Hawaiian lifestyle, low-rise resort situated on 12.2 acres of oceanfront. 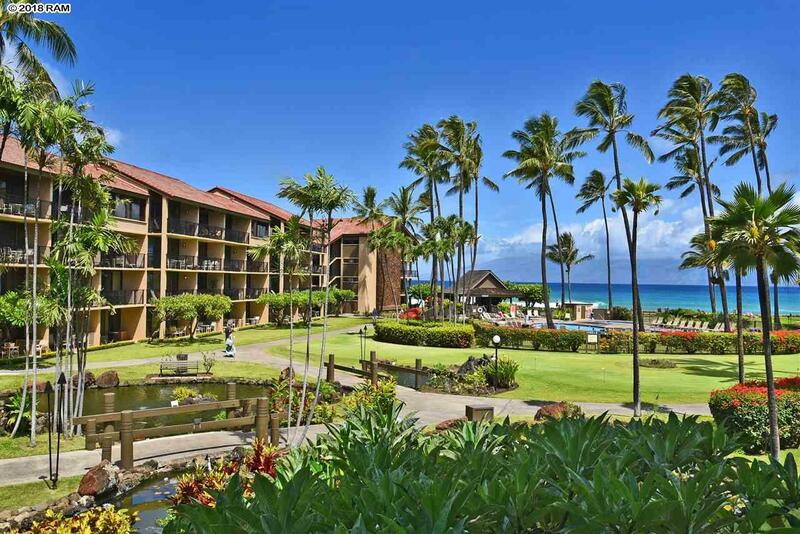 The resort is just a short walking distance to 3-mile-long N. Kaanapali white sand beach with great swimming and snorkeling. The lush landscaped grounds are immaculately maintained and adorned with red ginger and red palms. At dusk, every evening the magical twinkling tiki lights are lit and reflect on the Koi ponds through-out the property. The amenities include 2 ocean side swimming pools, 3 tennis courts, shuffleboard, 2 oceanside cabanas for entertaining, 2 putting greens, 24-hour front desk service, poolside barbecues, and ample parking. It is situated within walking distance of dining; super market and an outdoor local Farmers Market are just two blocks away. 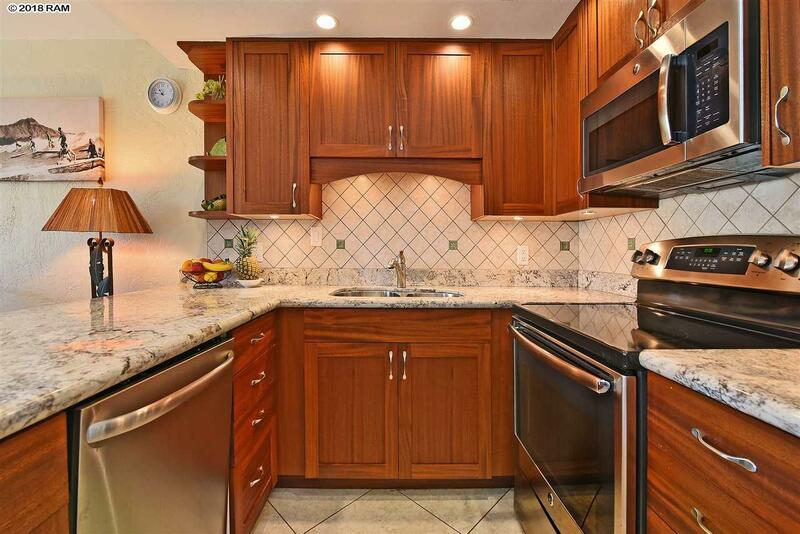 This condo is turnkey and comes with all the quality d'cor and furnishing.